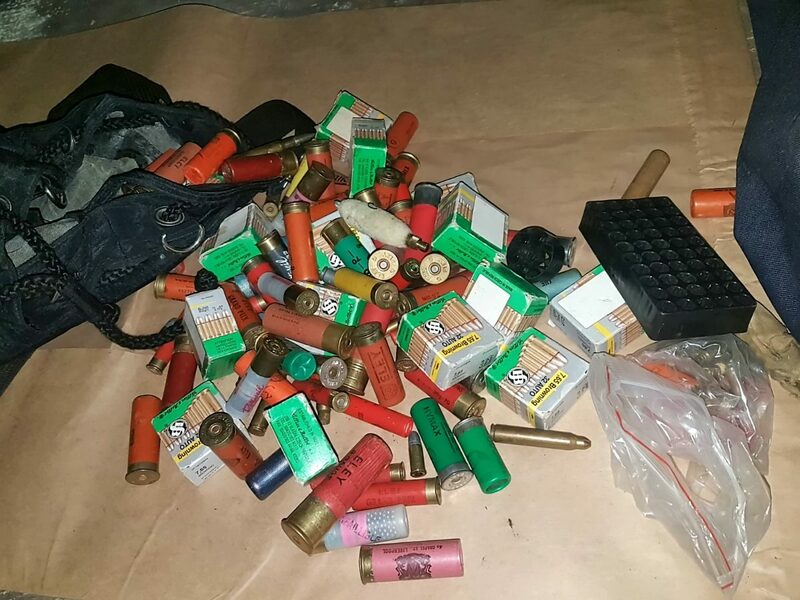 A deadly arsenal of machine guns and grenades has been recovered by armed police in a raid at a farm in east London. Three AK47 assault rifles, one submachine gun, two shotguns, one revolver, one self-loading pistol, hundreds of rounds of ammunition and 22 grenades were found. Officers from the Met’s East Area Crime Squad swooped on 70 shipping containers at Bretts Farm, Romford Road in an early morning raid on Tuesday. Stolen cars, several kilos of class A drugs and a cannabis farm were also recovered. One 31 year old man was arrested and is currently in custody. Police say the raid was not terrorist related. A Scotland Yard spokesman said:”A haul of weapons – including machine guns, Ak47 assault rifles and grenades – have been seized by police following early morning raids at a farm in South Ockendon. “!The warrant formed part of a proactive operation led by the East Area Crime Squad with assistance of colleagues from Trident Gang’s and Area Crime Command. “Specialist firearms officers from Essex Police also supported the operation. 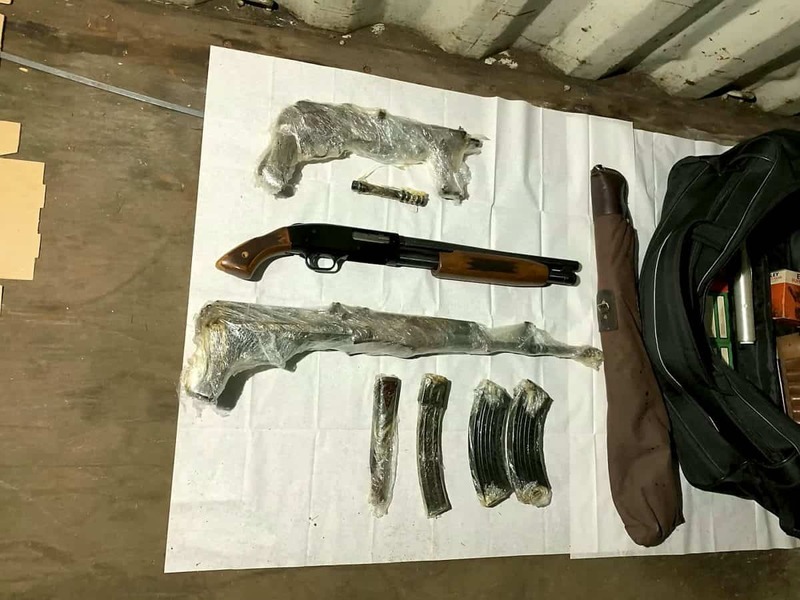 “Officers recovered three AK47 assault rifles, one submachine gun, two shotguns, one revolver, one self-loading pistol, hundreds of rounds of ammunition and 22 grenades from one container. “A large number of stolen vehicles, several kilos of Class A drugs and a cannabis farm were found in other containers on the farm. Detective Chief Inspector James Harper of the Trident and Area Crime Command, said: “I have no doubt that removing these weapons from circulation has prevented death or serious injury. Officers remain at the scene and enquiries continue.